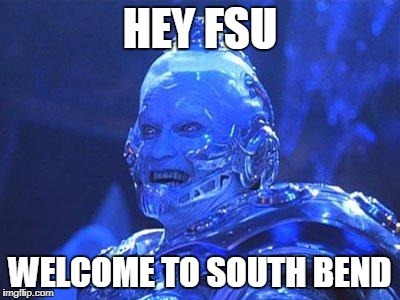 FSU to the Bend in December I like it. Usually don't venture to SB this late in season, but may have to for this one. Either this or Stanford, plus UM for home games. They're gonna be a few weeks late for kickoff. Night game in November, one to remember? I am not sure why I put December. Hopefully the weather will be cooler in 18.